All of our wood fences are custom built onsite to your exact needs. 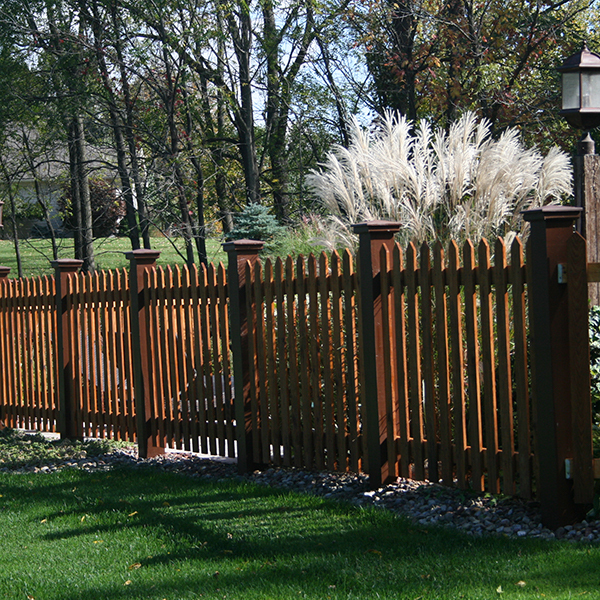 We have over 15 styles of custom fence to fit your personal taste and lifestyle. Virtually maintenance free and will last a lifetime. Available in many styles and colors to fit your needs or accent the color of your home. An elegant look that is not only beautiful but maintenance free. The perfect fence for your swimming pool enclosure or to accent your landscaping. One of the most economical and durable fences available. Perfect for security, animal enclosures, or to fence in your entire yard. Gasparini Fence Company is Central New York’s premier residential fence contractor trusted by Syracuse area homeowners since 1979. We are the Syracuse area's premier residential fencing company. While other Syracuse fence contractor’s priorities are for commercial installations, we focus on providing the homeowner with the highest level of craftsmanship and service in the fence installation industry. Rest assured that any service we provide will be installed using only the best materials available, by our certified and trained professional staff. Why Hire Gasparini Fence Company? ...I can't say enough good things about the crews that worked on our project, and the Management provided by both Gary and Scott Gasparini! Gary, The fence crew was a pleasure to deal with. Your foreman was very knowledgeable and very customer friendly. Great job! Everything turned out great! The guys did a wonderful job on our new fence. We love our new Cedar Fence. The crew did a great job. Trusted dealer of Meridan Fence products.